Mary Ann Philyaw, AKA Mimi, 53, passed away Wednesday, Sept. 20, 2017, in her home in Provencal after a courageous battle with cancer. She was the beloved spouse of Ronald G. Kelley. Mary was born in Shreveport May 20, 1964. She was the daughter of the late Bettie Smith and Thomas Hughes. She was the loving mother of Sky and Charles Sharrow, Donald and Misty Blanchard, April Maloch and Wesley and Samantha Philyaw. Her passion in life were her grandchildren, Delwin, Doc, Autumn, Charles II, Greysen, Kayla, Daphne, Zack and Gwen. 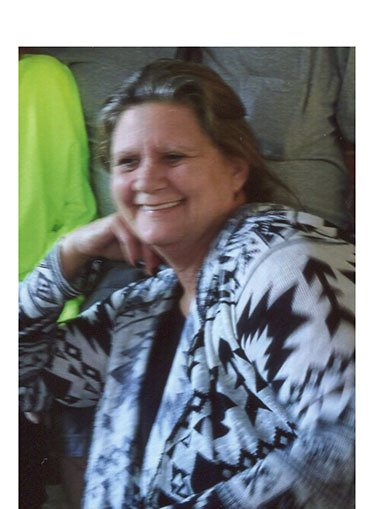 Mary was a very outgoing person who enjoyed fishing, hunting, canoeing, gardening, spending time with family and most importantly, her grandbabies. At Mary’s request, the memorial will take place in 2-3 years when her ashes return from donation. It will be a private event for immediate family and close friends.